Rob Powell, owner of RobPowellBizBlog.com, knows what’s it’s like to struggle in the blogging trenches. Now, he helps first year blogger succeed. Thanks so much for doing this interview Rob! I love your blog and can’t wait to see what works for you. So, let’s get started. . . I was born in a small mission hospital in what was then Tanganyika (now Tanzania), East Africa. At the age of 2 my parents moved from Tanganyika to Uganda and we lived there until I was 6. It was an amazing childhood – I spent most of it swapping my toy cars for animals that the local African boys would bring to our house. At one time I had a chameleon, a monkey, and a large monitor lizard (4 feet long). We moved back to England when Uganda got Independence. That was a shock for me. I went from the warmth and exuberance of African culture to the cold and reserve of English society. All my life I had been running around in shorts with no shoes and no T-shirt and now I found myself in a boarding school with more rules than I’d ever imagined possible. On our way back from Africa to England we stopped in Cairo and visited the pyramids. For a few years after that I knew what I wanted to be when I grew up: an ‘Egyptologist’. My father is a scientist and spent 12 years working on the eradication of malaria in East Africa. But there was also entrepreneurship in the family. When I was 15 I went to the south of Spain to spend the summer holidays with an uncle who was a wealthy industrialist. And then there was my grandmother. She lost her husband when my mother was only 6 years old. Faced with the challenge of raising 3 kids on her own, she opened a launderette. She ended up owning a chain of launderettes and became quite wealthy. What type of jobs or career did you have before internet marketing and what were the pros and cons of working for someone else? I trained as an Anthropologist and did fieldwork in Ecuador and Indonesia. After that I worked for Aboriginal organizations in outback Australia. I spent many years doing sacred site surveys for mining companies. I also researched and wrote anthropology reports in support of native title claims. This meant I often ended up in court as an expert witness. That was an experience I found very stressful and is part of the reason I went into online business. I found the main advantage in working for someone else was the security of a regular income. The main disadvantage was office politics, which I really disliked. And the feeling that you have sold your time to someone else – that used to really eat away at my soul. When did you discover internet marketing, what was your first two years like, and can you tell us what you would change if you started over today? I first ventured onto the Internet in 1999 in the days before Google. I discovered that if you could write well, there was huge demand for articles. In those days people published articles in newsletters, not on websites. I managed to get a lot of traffic from my articles in newsletters, or ezines as they were called. What is the biggest mistake you see new internet marketers make, and how can they fix it? The first two are connected because helping others is the way most bloggers find their tribe. The third one comes down to a belief that “I can do it on my own”. There’s a mindset that says if I just produce enough good content, I’ll make it. But it’s very hard to succeed without the help of Influencers in your niche. It’s essential to get on the radar of the key players in your niche. The guy who taught me this is Jon Morrow in his blog post ‘Why I Quit Blogging (And What To Do If You’re Struggling)’. He blogged for 2 years and got nowhere. Eventually, he got so fed up he gave up blogging. And then he asked a blogging expert what he’d been doing wrong. That’s how he discovered that succeeding as a blogger requires connections + great content. In a nutshell: you have to get on the radar of the key players in your niche. And the way to do that is Influencer Outreach. I’ve had quite a bit of success with the first two and I’m about to start doing interviews. I’m really looking forward to that! I started my blog in November 2016, so it’s still in its first year. I have about 50 posts so far. Quite a few of those are cornerstone content, 3,000 to 5,000 words in length. Traffic fluctuates quite a bit at the moment. How should beginners start a blog? There’s lot of advice out there about researching your niche, finding something you can monetize etc. If you’re passionate about what you’re doing, people will see it in your writing and they’ll come back for more. When you start a blog, you don’t see results for a quite a while, sometimes it takes a couple of years. In those bleak times it’s only the passion you have for your topic that will keep you going. What’s the best SEO tweak to get more traffic to your blog these days, and can you share the technique? ‘Dwell time’ or time on page is the SEO factor that I’m focused on at the moment. The longer a user spends on your website after clicking through from the search results, the more likely it is that your content answered their query. Google’s primary goal is to provide users with the most relevant results possible. So it’s going to reward the pages with the highest ‘dwell time’ by pushing them higher up the search rankings. If I rank somewhere on Page #2 for a given keyword but people are spending more time on my page than the other pages, my page is gradually going to climb up the results until it’s on Page #1. The way to get people spending more time on your page is to use “bucket brigades”. These are phrases whose only purpose is to make the reader read the next paragraph. You sprinkle these phrases through your blog post so that you literally move your reader down your page. There’s a sea of dead blogs out there, abandoned by bloggers who gave up too soon. What keeps you going in times when it feels like nothing is working? I think starting a blog requires huge amounts of faith, because as you say, there are times when nothing seems to be working. One thing that helped me was looking for any evidence, however small, that I was moving in the right direction. It might be my first post with more than 50 shares, my first 100 subscribers, my first Page #2 ranking on Google, my first flurry of comments on a blog post, my first guest post and so on. Even when things are really bleak, you can usually find something that shows you’re moving in the right direction. Two other things will also help, I’ve found. Firstly, having the mindset that you’re not going to give up. 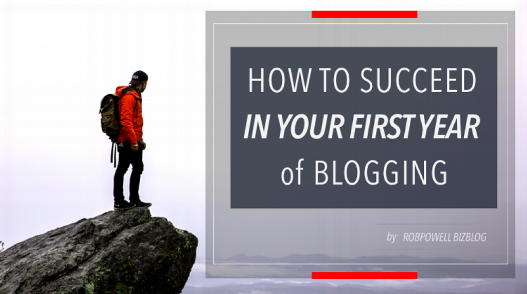 The statistics say that 95% of bloggers give up within the first year. By simply refusing to give up, you’re already put yourself in the top 5% – that’s a huge advantage! One of the experts pointed out that you can’t expect to get much traction within the first year or two. Realizing that can be a huge relief for a first year blogger who just feels they’re not getting anywhere. Who do you want to help and inspire and why? My target audience at the moment is first year bloggers. They’re the people I want to help. They’re the people I feel best positioned to help because I know what they’re going through, I know what it feels like. One of the problems with taking advice from the really big guys is that they’ve forgotten what it’s like when you’re starting out. They’re in the position where virtually anything they do attracts massive attention, either because of their name or because they have a massive subscriber base or massive social media followings. What is your favorite book right now, and why? Right now I’m reading ‘I Never Metaphor I Didn’t Like’ by Mandy Grothe. I really want to get better at using metaphors in my blog posts. I believe metaphor is one of the most powerful weapons in the blogger’s arsenal. They grab your reader because they resonate with something—an object, an experience, an emotion—the reader already knows. I want to take my Influencer Outreach to the next level by doing interviews with key players in my niche. I’ve thought of podcasting, but I believe that words on a page are more powerful than audio, simply because words on a page get ranked in Google. So I’ll probably go for text interviews rather than podcast interviews. “Nothing in the world can take the place of Persistence. Talent will not; nothing is more common than unsuccessful men with talent. Genius will not; unrewarded genius is almost a proverb. Education will not; the world is full of educated derelicts. Persistence and Determination alone are omnipotent. The slogan “Press On” has solved and will always solve the problems of the human race”. I love it because it brings home yet again the power of determination, persistence, and doggedness. Wow! Some great nuggets here Rob! Thanks so much for this insightful interview. For more info on Rob, please visit his powerful blog that helps beginning bloggers HERE. 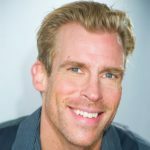 Erik Christian Johnson is a full-time blogger, self-development advocate, and full-time network marketing Entrepreneur. All articles are solely used for educational purposes and merely the opinion of the blog writers. Please refer to the Disclaimer page for full disclosure. There might be affiliate links within articles. 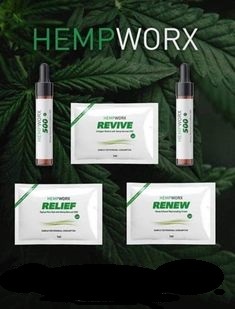 My Daily Choice Hempworx CBD Oil Review - Read This First! Get in on the Action and Subscribe! What are thousands receiving each week that you're missing? How Did Today’s High-Flying CEOs Manage The Stress Of Starting Up? Can You Run A Business Whilst Studying? Erik Christian Johnson - Everything Entrepreneur Copyright © 2019.